Drive It Like You Own It! Sarkis Freight! 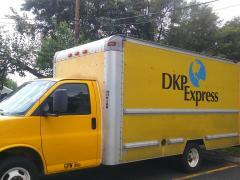 Sarkis Freight, Inc. is a family owned and operated company that is affiliated with FedEx Custom Critical. We are looking for drivers to get into our 2016 or newer tractors making 75% of the company rates of the loads! Work smarter, not harder. Give us a call today, 800.470.6846, to learn more about our one of a kind tractor team program! Title Drive It Like You Own It! 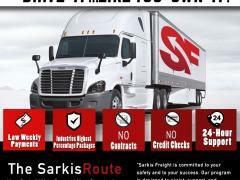 Sarkis Freight!